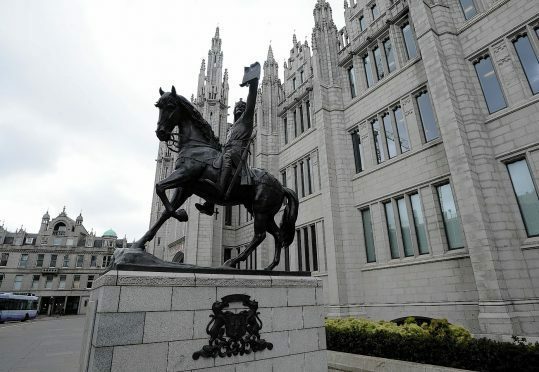 Cash-counting council chiefs in Aberdeen are looking to clamp down on staff travel costs in an effort to deal with increasing financial pressures. Officials yesterday told elected members that “all expenditure for travel costs and staff resource must be more thoroughly considered” in the future. The authority has come under heavy criticism in the past for sending councillors and officials across the globe to promote the city at various events and functions. Council leaders have often stated the trips are worthwhile for the benefits brought back to the Granite City. 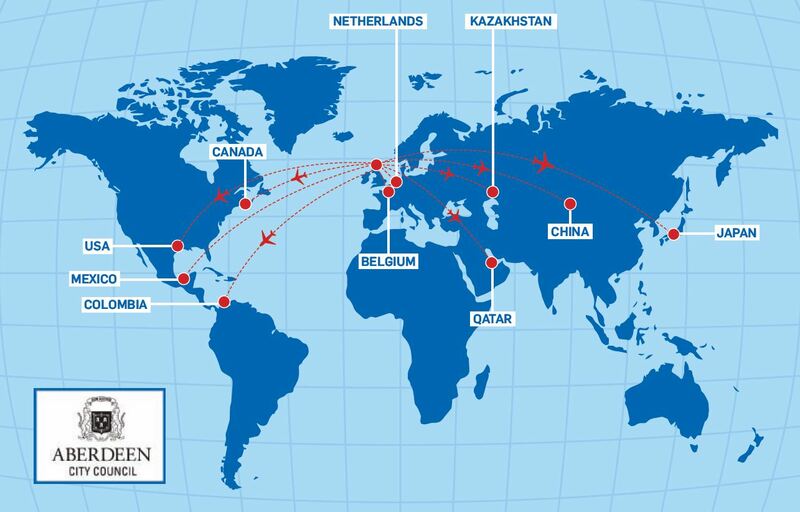 In April, this year’s £53,600 travel plan was announced with trips as far afield as Qatar, Japan and Mexico planned as efforts are made to boost the city’s international connections post-Brexit. Among them are 12 visits to Belgium for meetings of the hydrogen body HyER and a visit to the Netherlands for a clean bus conference, together with journeys to multiple other European destinations. But under the new proposed policy extra checks would be put in place to ensure the authority was getting the best value for money in the likes of accommodation and travel costs. The council has predicted that there will be increasing financial hardship in years to come due to decreasing government grants and a report to the council’s staff governance committee noted that “financial restraint is currently a significant challenge for the council”. Liberal Democrat committee member Steve Delaney said: “I welcome this report. “With pressure on all our council services, it is only right that any travel requests, both within the UK and overseas, are carefully scrutinised to ensure they are both necessary and booked in a manner that minimises the cost to the council”. But there was disagreement at the committee, with SNP member David Cameron unhappy that trade unions had not been consulted on the document. He said: “Although the policy has been brought before committee it is somewhat disappointing that this has happened without it first being assessed by the trade unions so that staff views could be captured and fed in. Committee convener Yvonne Allan deferred the decision on taking the policy forward to the next committee until more consultation had been carried out.